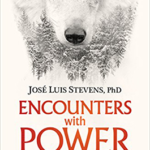 Caves of Power is a compilation of the lessons Sergio Magaña Ocelocoyotl learned throughout his life. 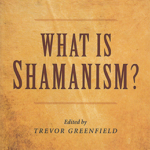 Trained in indigenous wisdom since his early childhood and later initiated into the ancient Toltec lineage of Nahualism, Magaña believes that these Mexihca teachings are not just for Mexicans but for all seekers around the world. 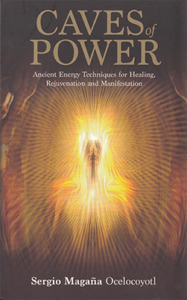 According to the Mexican tradition, we have seven caves of power (equivalent to the chakras) and healing these caves allows us to improve all areas of our lives. Nahual was the name given to the wise man/woman who was able to merge the dream state and waking state either awake or asleep. 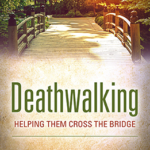 In this book Magaña describes some methods of doing this in a conscious state and some very practical techniques to help you “become responsible for your own destiny and heal the collective unconscious”. 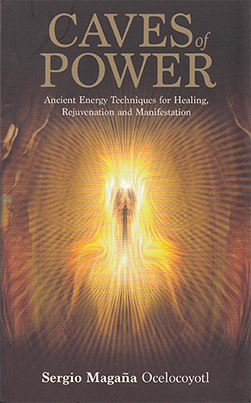 Caves of Power is primarily a practical book, incorporating clear, step by step instructions for the various exercises; some illustrated by photography. 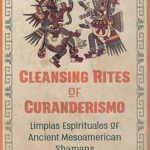 However it also contains interesting and easy to read information about the background to the Mexihca traditions and teachings. 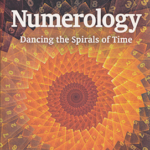 In line with the cosmic mathematics of the ancient Mexicans this information is presented in four sections: healing, rejuvenation, manifestation and blooming (enlightenment). In Caves of Power Magaña has made some healing practices of the Mexihca tradition highly accessible to all who wish to practice them. A must read for anyone interested in the Mexican traditions. Sergio Magaña Ocelocoyotl. Caves of Power. Hay House (8 Nov. 2016). 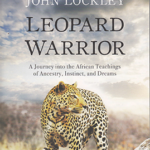 ISBN: 978-1401951917.